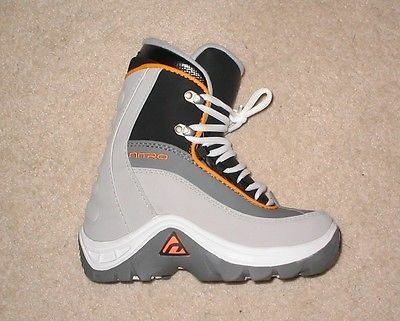 New unused still in box Nitro Primus Junior snowboard boots. Size UK 1 (Mondo 21.5). Will fit a UK shoe size 13 - 1. Comfortable junior snowboard boots with a cosy liner and quality outer boot.